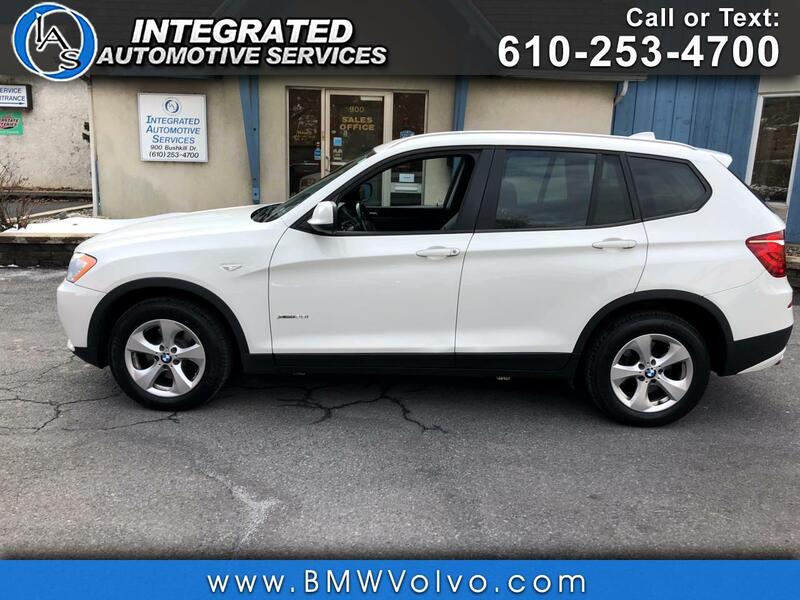 Used 2011 BMW X3 xDrive28i for Sale in Easton PA 18042 Integrated Automotive Services Inc.
CARFAX One-Owner. New Tires, Fresh Oil Change, New PA State Inspection, Fully Serviced, Bluetooth, Climate Package, Leather Seats, Moonroof, 8-Speed Automatic Steptronic, Cold Weather Package, Heated Front Seats, Heated Rear Seats, Heated Steering Wheel, Retractable Headlight Washers, Satellite Radio. Odometer is 14285 miles below market average!